﻿﻿I read something interesting about a certain kind of ant. This is what I read. ﻿ "Some of the workers of honey ants are called 'repletes'. 'Replete' means 'full'. 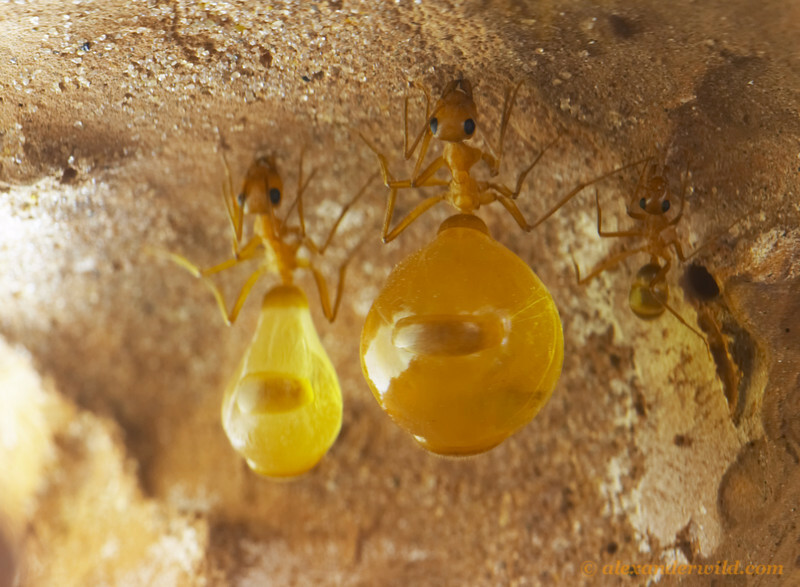 These ants store the nectar and honeydew that other workers bring back to the nest. The abdomens of the repletes swell until they are huge. These ants hang from the sides of the nest. They are used as storage containers to feed the rest of the colony in times when food is scarce." ﻿﻿I think this ant has such a beautiful lesson to teach us! 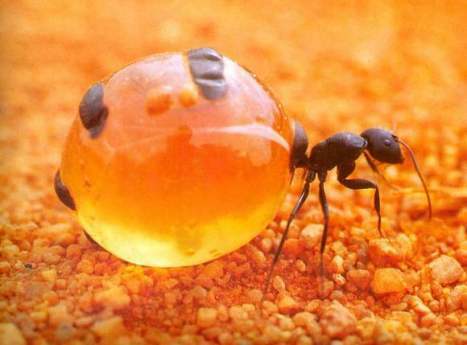 Just like the replete ant fills itself up on the nectar and honeydew, so we should fill ourselves up on God's Word. Then, like these ants, we will be able to feed and be a source of encouragement to others---to our children, our husbands, our friends and anyone we come in contact with. If these ants don't first fill themselves up, they won't be of any use to others. And if we don't take care to feed on God's Word and make sure we are walking close to the Lord ourselves, we will be empty. We won't have anything to offer to the people around us.